Reydams’ controversial article attacking a small NGO was full of factual errors and leaps of logic. Sadly, such scholarship is not rare in this field. In the world of academia, few topics are subject to a more polarised debate than the 1994 genocide against the Tutsi in Rwanda. When discussing this event, even eminent professors will make scurrilous accusations against those with whom they disagree. “Guilt by association” arguments frequently find their way into the scholarship under the guise of academic research. In this often unproductive debate, a regular point of contention is the role of the Rwandan Patriotic Front (RPF), the Tutsi-led rebel group that defeated the extremist Hutu regime in July 1994 and is still in power today. Some contend that the RPF bears some responsibility for the genocide against the Tutsi and that they themselves committed “acts of genocide” against the Hutu. They point out that the International Criminal Tribunal for Rwanda (ICTR) failed to investigate RPF crimes and claim this was the result of a deliberate cover up – one that may have involved the complicity, consent or even active participation of prosecutors and NGOs. In August 2016, this conspiracy theory was given a boost by a 42-page article in Human Rights Quarterly, entitled “NGO Justice: African Rights as Pseudo-Prosecutor of the Rwandan genocide”. 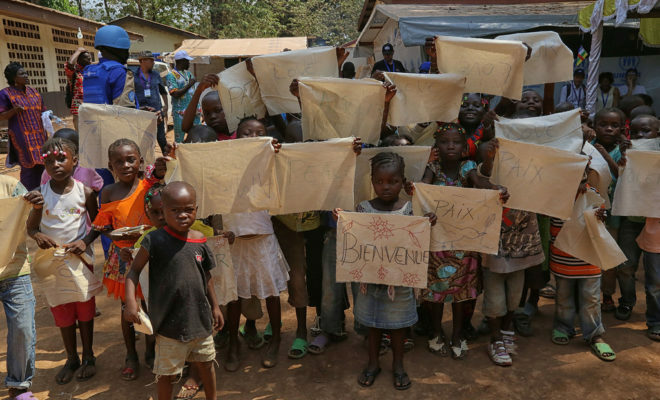 The piece by academic Luc Reydams centres in on the advocacy group African Rights. It claims that this apparently independent body was in fact “coopted” by the Rwandan rebels during the first weeks of the genocide, and that it consequently became an “outright RPF-front organization funded by and working closely with the RPF’s intelligence apparatus”. Reydams claims that the African Rights report “Death, Despair and Defiance” became hugely influential and ended up shaping the whole narrative of the genocide. He says this document even helped determine the approach and actions of ICTR officials who supposedly referred to it as “the Bible”. Pulling no punches, the academic contends that African Rights was ultimately a proxy for the RPF and that its landmark report was “instrumental in shaping and spreading an easily consumable one-sided narrative of the Rwandan conflict and that the resulting pensée unique contributed to RPF impunity”. However, Reydams’ article turns out to contain hundreds of errors, unverified accusations and logical flaws. Nonetheless, it is worth examining how and where his major allegations fall short. His approach gives an insight into the sad state of the current debate at times. Reydams’ main allegation – that the widely-accepted narrative of the genocide originated from RPF propaganda in African Rights reports – can be traced back to rumours spread by well-known extremists shortly after the genocide. Jean Bosco Barayagwiza, leader of the extremist Coalition for the Defence of the Republic (CDR), similarly accused the rights group of being “a blind and unconditional ally of the RPF” in his book of the same year. Such accusations have not been reserved to just African Rights. Hutu Power sympathisers have also described United Nations researchers as pro-RPF agents and the testimony of Human Rights Watch researcher Alison Des Forges as being “so coloured by prejudice as to be without objectivity”. In fact, even before the genocide erupted, Ferdinand Nahimana, co-founder of the hate radio station RTLM, tried to discredit a human rights investigation co-chaired by Des Forges. Nahimana, Ngeze and Barayagwiza were all convicted by the ICTR in 2003 for their role in encouraging the genocide. But their rumours survived and were given new life by Reydams. He attempts to add weight to the old conspiracy theory by offering an alternative narrative around African Rights. He suggests that far from being an independent researcher, the group’s director Omaar worked hand-in-hand with the RPF who allegedly gave her access, fed her interviewees and accompanied her during fieldwork. In this narrative, Reydams cites Theogene Rudasingwa, the RPF’s chief public relations officer in 1994, who claims he enlisted Omaar on 26 April 1994 in Nairobi, Kenya. He says he then put her in touch with RPF commanders in Rwanda. “I played a vital role in bringing her into the RPF network,” he says. The article offers no details about how this arrangement operated in practice, however, and Rudasingwa did not elaborate when we contacted him. He said only that he has “nothing else to add or distract” from what he was quoted as saying in “NGO Justice”. But for her part, Omaar is adamant Rudasingwa’s account is incorrect. She says she attended a press conference held by the former RPF official – as mentioned in “Death, Despair and Defiance” – but that she never spoke to Rudasingwa in Nairobi, nor had any kind of meeting with him there. Instead, Omaar says her initial research in Rwanda was facilitated by the International Committee of the Red Cross (ICRC) and Reuters News Agency. She says her work on the genocide started after she attended ICRC briefings in Nairobi. There, she met Geoffrey Loane, a senior ICRC official, who she says put her in touch with people who had been evacuated from Rwanda and others. We contacted Loane. “Rakiya did attend on one or more occasions,” he confirmed. “We also met over lunch one of those days.” Omaar says she took an ICRC flight to a refugee camp near the Rwandan border in Tanzania. Loane says this “rings a bell”, but that he cannot be certain after so long. 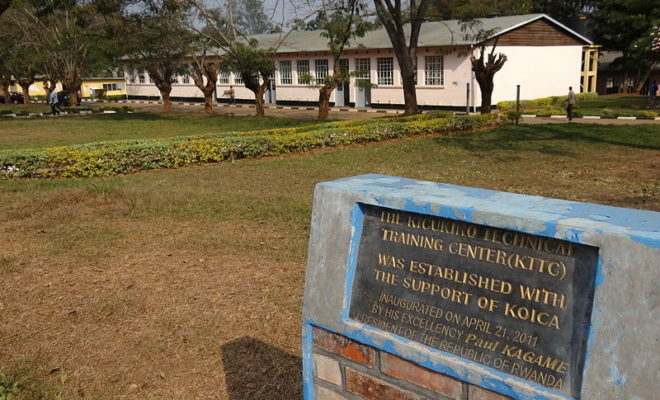 The African Rights researcher only reached Mulindi, where the RPF was headquartered, in mid-May when she joined a crew of Reuters journalists entering Rwanda from the north. Journalist Buchizya Mseteka, who headed the crew, remembers giving Omaar this ride. Reydams makes much of her time in Mulindi, but according to the BBC’s Mark Doyle, passing through this RPF stronghold could not be avoided and does not suggest any kind of collaboration. “It is ridiculous to say that the fact of going to Mulindi is to sign up with the RPF agenda,” he says. “Other crossings were only for the very brave”. Jonathan Clayton of Reuters echoes this sentiment and adds that the rebels’ presence was crucial for their security. “In those days the RPF gave everybody minders, but as I recall we welcomed their presence,” he says. “I remember one chasing away a group of Interahamwe coming towards us with pangas drawn”. After Mulindi, Omaar went on to Byumba and the Kigali area where she conducted interviews in camps and hospitals. The testimonies she recorded correspond closely to accounts by journalists also present, such as Mark Fritz and Bill Berkeley. Omaar says she had a soldier as a guide at this time, but that he didn’t interfere with her work. Her claim that she conducted research independently is backed up by others who were there at the time. Clayton, for instance, explains that the RPF was not omnipresent. “I remember seeing Rakiya interviewing people at one place where our paths crossed and I have no recollection then of any RPF military presence,” he says. In fact, when it comes to actual witnesses to Omaar’s work, which Reydams claims was closely overseen by the RPF, the academic only offers one source: a former African Rights employee who wished to remain anonymous. “The RPF would bring a dozen survivors or witnesses to [Omaar] at a time and she would ‘process’ them with the help of RPF translators,” the source is quoted as saying. He was also eager to distance himself from Reydams’ accusations. “After reading his article, I was shocked to realise that he tried to give the impression that it was the RPF that identified the people for interview and that they shaped their accounts to fit with his [their] version of the facts,” he said. Having claimed to have proven that African Rights was an RPF front, Reydams goes on to argue that its landmark report was instrumental in popularising the dominant narrative about the genocide. But this claim is based on similarly fragile evidence, as is quickly apparent from the chronology of events. The African Rights report was published on 29 September 1994. By this time, the “grand narrative” of the genocide Reydams refers to had already become the consensus view. More than five months earlier, on 19 April, Kenneth Roth, executive director of HRW, had written an open letter to the UN Security Council. In it, he referred to the atrocities against the Tutsi minority as “genocide” and claimed “the campaign of killing was planned weeks before the death of President Habyarimana”. At the same time, HRW consultants such as Des Forges were working tirelessly to get this same message across in the media and by visiting the White House, US Congress and UN Security Council. This was all before Omaar even set foot in Rwanda. As well as suggesting “Death, Despair and Defiance” helped create the widely-accepted story of the genocide, Reydams claims it formed a core part of the ICTR’s investigations and actions. He says the report was referred to as “the bible” and significantly influenced the Court’s approach. This claim also seems unfounded. When contacted, former ICTR investigator Humbert de Biolley and former prosecutor Sara Darehshori both said they indeed referred to the report. However, they insisted it was only one of many documents they looked at and that it was used for context only. “[It was] certainly not a bible,” said de Biolley, laughing when he heard the claims. Darehshori, currently a senior lawyer at HRW, said the African Rights report was not even as influential as the expert report written by Des Forges in May 1995. “That was much more important in evidence presentation,” she said. A former team leader of the ICTR investigators, who wished to remain anonymous, gave a similar account. He added that far from having to rely on “Death, Despair and Defiance”, there was lots of information available in 1995, whether from news archives, experts, books, UN peacekeepers or their own intelligence unit. Darehshori does concede that the ICTR fell short in investigating crimes committed by the RPF. But she says that rather than this being due to the court buying into RPF propaganda, it was rooted in far more practical reasons. There is no doubt that African Rights’ research, conducted in the most difficult of circumstances, was imperfect. Even those who praise the work see its inevitable flaws. With little evidence, however, this is what Reydams does as he reaches conclusions that even his own sources find suspect. For example, the academic lists two other Rwandan sources that informed his work besides the former African Rights employee and Rudasingwa. African Arguments contacted them as well. Noel Twagiramungu responded by saying that Omaar did become too close to the RPF-led government in later years, but he distanced himself from Reydams’ article, saying it “suffers from the syndrome of post-hoc conclusions”. Gerald Gahima simply requested that we say Reydams’ article misrepresents his views about Omaar’s work on the genocide. The only Rwandan source to stand by Reydams therefore is Rudasingwa, whose comments should be understood in the context that the former RPF Secretary General fell out with President Paul Kagame in 2004, fled the country, and has since become one of the government’s leading critics. In its May 2018 edition, Human Rights Quarterly has agreed to publish a critique of Reydams’ article. Co-written by seven Great Lakes specialists, the authors call his contribution “unreasonable, ill-founded and intemperate”. They go through twelve areas of contention and complain that the author provided “not a shred of evidence for the sweeping and damaging claims he makes”. The co-authors say the piece was unworthy of publication. The fact it was published – despite scores of factual errors, leaps of logic and libellous aspersions – raises questions about the submission process at Human Rights Quarterly. However, while the character assassination of Omaar is particularly extensive, it is notable that attacks of this kind are sadly not rare within this particular academic field. Criticism is often aimed at individuals, who are accused of ulterior motives, rather than at the facts and theories they publish. Academic Filip Reyntjens even wrote a pamphlet on this phenomenon, arguing that the debate “remains so emotional and polarised that the substance too often gives way to…the less than honest presentation of each other’s points of view and to what is known in English as ‘character assassination’, where one plays the man and not the ball”. Ironically, Reyntjens himself has employed these same tactics on occasion. Helen Hintjens of the International Institute of Social Studies in The Hague suggests that, in this debate, there seem to be two present-day Rwandas. One is presented as deserving praise for its stability and development since the devastating genocide and civil war. The other is presented as led by a power-hungry and repressive regime with little regard for its citizens. Dissent or even mild criticism is not appreciated by those on either side of this divide. As academic Jonathan Fisher points out, being critical towards the government means risking being barred from the country or worse. Meanwhile, as Jonathan Belloff notes, not being critical enough means risking being alienated by an academic community that is increasingly disapproving of the RPF regime. If “NGO Justice” is a sample of what those articles are replaced with, this is not a very encouraging development. Jos van Oijen is an independent researcher from The Netherlands who publishes on genocide-related issues in various online and print media. I’m not going to address the concrete claims laid by Mr. van Ojien against Luc Reydams. He’s grown up enough to respond himself, as I understand he will in the upcoming issue of the Human Rights Quarterly. I simply add a couple of indications of the ambiguous relations between African Rights (AR), or more accurately Rakiya Omaar, and the RPF. In May 1994, AR reported that “there is absolutely no evidence that the RPF is responsible for large scale indiscriminate killings of civilians”. While this could be seen at the time as a statement due to lack of information, the organisation persevered. Even in the revised edition of its monumental Rwanda. Death, Despair and Defiance published in August 1995 , the conclusion of African rights on RPF abuse was that “no convincing evidence has yet been produced to show that the RPF has a policy of systematic violence against civilians”, and it went on: “The RPF has one enormous credit to its name. It succeeded in inflicting a decisive military defeat on a genocidal regime, and thereby halting the mass killings of civilians (…). In doing so it was fulfilling its fundamental moral and legal obligation under international law”. This of course echoed the RPF line, but by that time crimes against humanity and war crimes committed by the RPF had been amply demonstrated by journalists, academics, the UN and NGOs. The same report also announced that “[t]he human rights record of the RPF and the new government will be the focus of future African Rights investigations” (p. 1075). However, no such investigations were carried out (at least, no results of such investigations were published). It later appeared that the closeness of African Rights to the regime was not just intellectual. In letters of 6 and 23 June 2008, Jean de Dieu Mucyo, the executive secretary of the National Commission for the Fight against Genocide, referred to an amount of over US$ 100,000 that the government owed African Rights for the drafting of a report. Rakiya Omaar also did “consultancy” for other Rwandan government bodies. In a report (The Leadership of Rwandan Armed Groups Abroad with a Focus on the FDLR and RUD/Urunana, December 2008), Omaar presented herself as a “consultant to the Rwandan Demobilisation and Reintegration Commission”. How genuine human rights organisations can investigate a government while at the same time conduct paid consultany work for it has always been a mistery to me. But I suppose my suspicion is due to my “use of similar tactics”. Alex de Waal, one half of Africa Rights, has also disentangled himself from the Africa Rights project’s narrative…..
Never mind that the quotes used in this piece are clearly identifiable as mostly regime supporters, it ignores the fact that increasing criticism of the RPF and Kagame is directly attributable to the fact that FIELDWORK based research is producing concrete evidence. From the acknowledgement that the Rwandan government forced World Bank researchers to destroy work that didn’t echo the government’s ‘success’ narrative to the dirty deal that Rwanda just negotiated with Israel to exchange African asylum seekers (illegally) for support at the UN for a revisionist resolution to change the name from the Rwandan genocide to the genocide of the Tutsis. Thus in one slice ignoring the Hutus who were also killed by the Interhamwe. Even the US, forcefully criticised this move along with the EU and many others. This attack on a respected scholar, Luc Reydams, was to be expected. It’s become the norm for a regime that murders dissidents and refuses to countenance any other view except their own carefully crafted narrative. At the end of the above text, please read “consultancy” and “mystery”. Mr Reyntjens’ comments need some explaining. First it should be noted that both Reyntjens and his protégé Reydams have been provided with detailed evidence about more than 200 errors in “NGO Justice”, many of which are serious and not resulting from accidental mistakes. They may not like the fact that someone made the effort to check, but simply ignoring reality is not very “grown up”. Both have been given plenty of opportunity to address the matter but have chosen other ways to deal with the situation. The rest of Reyntjens’ comment is obviously a red herring. Nevertheless, the “suspicious” African Rights statements he mentions have no significance unless all relevant information is considered together: how many critical statements are in the same reports, for instance; what is the ratio suspicious/critical; and how do the statements compare to what other NGOs were publishing? A statement like: “there is absolutely no evidence that the RPF is responsible for large scale indiscriminate killings of civilians” (African Rights) is quite similar to: “there is at present no credible evidence that the RPF has engaged in any widespread slaughter of civilian populations” (Human Rights Watch, a week earlier). Human Rights Watch has also published many testimonies about the RPF rescuing groups of civilians and individuals and putting an end to the genocide. Several HRW reports even included statements such as: “casual rumor and deliberate propaganda [by former government] both cloud and exaggerate accounts of attacks and disappearances [by the RPF]”. They would qualify as “red flags” in the terminology of “NGO Justice”. But HRW statements are not regarded as “indications” or “red flags”, of course, because that would backfire and not lead to the desired conclusion. Other issues mentioned by Reyntjens are either untrue or unclear. The statement from 1995 is actually from 1994. There is a 28 page chapter about RPF abuses in the African Rights report “The Insurgency in the Northwest”. The details of Omaar’s consultancies have not been investigated by Reyntjens. Maybe he should; clear up the “mystery” instead of speculating endlessly. This goes to show how opinions can change over time. However, facts are not opinions and should not be subjected to manipulation for the benefit of personal likes and dislikes. The real mystery here is what the editor of Human Rights Quarterly is thinking. In any other discipline an article like “NGO Justice” would have been retracted quickly and quietly. Mr. van Oijen has already cost me too much time in the past, so I’ll be very brief. Casting Reydams as my “protégé” is insulting and ignorant of academic practice. He is not, and he doesn’t need a “protector”. The “red herring”: The difference with HRW is that AR continued to whitewash the RPF, even after overwhelming evidence of human rights abuse became available. HRW did not. And yes, the statement was initially made in 1994, but it was again included in the 1995 2nd edition of DDD despite all the facts made available since. I said indeed what I said to Judge Vandermeersch in July 1995, but that was about documenting the genocide, not about the RPF’s own crimes. It seems Mr. van Oijen is not so much interested in bailing out AR, but rather in bailing out the RPF. That’s his right, but manipulation of truth and making people say what they don’t say is not an acceptable practice in furthering that aim. Well, who hasn’t been framed as an RPF supporter by Mr Reyntjens over the years? Luc Reydams’ main source for his accusations against African Rights, the former AR employee, has expressed his thanks for this article “that helps restore the truth”, he says. Let’s go with that. 1. What is your comment on the letter of 23 June 2008 about some payment to Rakiya? 2. Have you read the book “In Praise of Blood…” by Judi Rever? 3. Did you know that Hassan Ngeze was working for both the RPF and the Habyarimana side? Your reference to the fact that Nahimana, Hassan Ngeze and Barayagwiza have said that African Rights was echoing the RPF propaganda as an argument against Reydmans’s research is very weak, to say the least. I am happy to inform the readers of this forum that Human Rights Quarterly has published the complaint of ‘seven Great Lakes specialists’ against my article together with my response. See http://muse.jhu.edu/article/694704 and http://muse.jhu.edu/article/694705 Enjoy! Facts are stubborn things … where is Jos now? I would like to remind the readers of African Arguments that my article intends to question the research methods used by Mr Reydams. In his zest to prove his theory or belief that the widely accepted history of the genocide is merely RPF-propaganda he should have presented verifiable facts instead of just trying to discredit other researchers with invented quotes and misrepresented literature. Reydams’ response to the rebuttal by Debelle et al in Human Rights Quarterly is just more of the same. It also shows that Human Rights Quarterly still does not bother with fact checking, even in the midst of a controversy. I’m aware that I haven’t said or written anything publicly in response to Luc Reydams. The basic reason is the wisdom in the Somali saying, “never argue with a fool in case you get mistaken for one.” I have had a number of arguments with apologists for crimes, charlatans and blinkered ideologues over the years, and they are people who have the time and energy to consistently parse, twist, misinterpret and misinfer from anything you say or don’t say to support a preordained position. Once you start responding you get dragged into an interminable discussion at the level of their choosing. Luc R is one of those. Look at his opening lines in his recent piece: he thinks Linda Melvern protests too much, and Rakiya and I not at all, and infers that this is all evidence for our guilt. On the article in the Boston Review on “getting human rights wrong”, let me give you the history. This began as a series of reflections on the topic, drawing on the two cases of Sudan and Rwanda, which I gave as talks in 2006 and 2007. I wrote a piece for the Washington Post in 2008 (here: http://www.washingtonpost.com/wp-dyn/content/article/2008/06/19/AR2008061903305.html). You will recognize the opening lines. But the WP was an insistent and intrusive editor, and (a) dropped the discussion of Rwanda and (b) wanted the piece to be an uncritical celebration of human rights writing, not a critical reflection. These are two problems that bedevil any attempt to be reflective on this topic: either you take a celebratory role or you become a hyper-critic. The next outing was at a seminar organized by Fletcher students here in 2013. This resulted in a book, Advocacy in Conflict. (https://www.zedbooks.net/shop/book/advocacy-in-conflict/ ). But I decided, only to include only one case study by me, which given what was happening at the time, I wrote on South Sudan. In parallel, I sent the “Writing rights and getting it wrong” to the London Review of Books, which dithered and procrastinated for a year (the same year that Reydams started contacting me), before deciding that it wanted to run only the Sudan section. So I withdrew the piece and sent it to the Boston Review. It is not an apology: it is an attempt to start the kind of reflective conversation that is the exact opposite of the ill-informed polemic that characterizes Reydams. Your article, Jos, is about facts, it’s in the title! In fact, you could not have chosen a better one!